Three Cabinet ministers have warned their local activists to prepare for an election, it was claimed today despite Theresa May ruling out a snap poll. A further six junior ministers have alerted their constituency associations to the risk of a new general election as Westminster is deadlocked by Brexit. Mrs May has insisted she will not call an election for fear of causing even more chaos if the result is indecisive. But after her continued denials turned into a snap election in 2017, few in Westminster feel anything is certain. Britain’s top civil servant told Government departmental heads to be ready in case an election is needed to break the Brexit impasse. 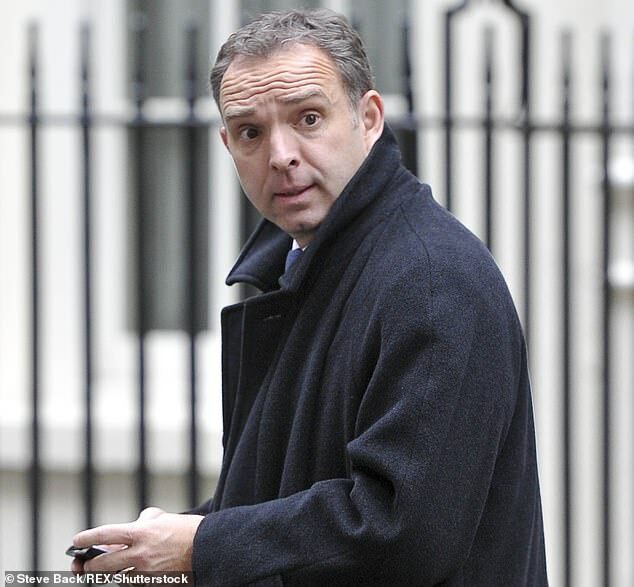 Cabinet Secretary Sir Mark Sedwill met senior mandarins this week to discuss preparations in case Mrs May decides to go to the country. Tory MPs desperately do not want another vote – fearing they will lose their seats – and today the PM’s official spokeswoman insisted that she will not call one. One minister who holds a marginal seat in the south has already written election leaflets, the New Statesman said. Two local associations have move fundraisers to accommodate a potential election, the magazine said, while another in the north east is also preparing literature. Mrs May ruled out calling an election in 2017 only to U-turn on the pledge and call the vote. 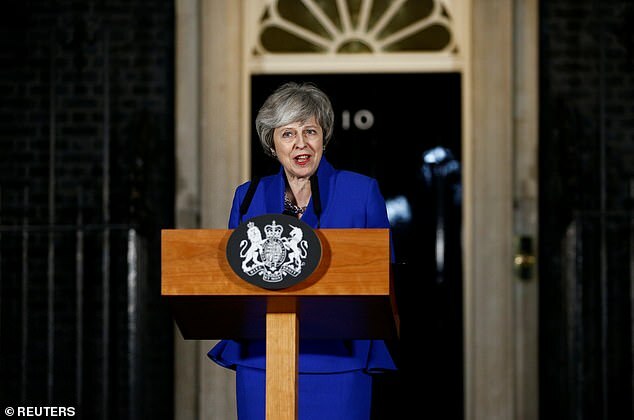 She fronted what many Tories believe was their party’s worst ever election campaign – losing her party’s majority despite starting with a massive lead in the polls. Britain is not due to have another election until 2022, as mandated by the Fixed Terms Parliament Act which sets five-year terms. Boris Johnson condemned Theresa May for failing to even try and remove the Irish border backstop today as he made a pitch for the Tory crown. The former foreign secretary said after Tuesday’s devastating defeat, the Prime Minister should make a ‘final offer’ to the EU of a deal that strips out the border plan and withholds half the £39billion divorce bill until a trade deal is finalised. Mr Johnson said he would be ‘utterly amazed’ if Brussels said no but insisted Britain would flourish even if it had to leave without a deal on March 29. Mr Johnson insisted delaying exit day would further ‘erode trust’ in politics and fuel suspicion of an ‘elite conspiracy to thwart Brexit’. As Mrs May continues cross party talks on a Plan B Brexit, Mr Johnson warned her not to concede to a permanent customs union as the price for getting her deal through the Commons. 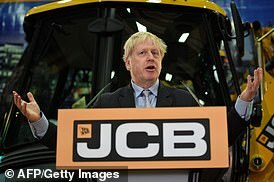 In a thinly-veiled leadership pitch, Mr Johnson’s wide-ranging speech – hosted by major Tory donor JCB boss Anthony Bamford – included promises to cut taxes and limit immigration. Mr Johnson is seen by many as a front runner for the Tory crown – but is also loathed by many Tory MPs who dismissed his pitch for unity today. Only this week, the Prime Minister told MPs that holding a ballot now would be ‘the worst thing we could do’, with some Tories fearing that the party would lose seats to Labour, handing the keys to Number 10 to Jeremy Corbyn. But the PM can call a snap vote as long as two thirds of MPs vote for it in the Commons. And Cabinet ministers have held conversations about how an election may now be the only way to move forward, with one warning a poll is ‘on the way’. Despite the failure of its attempt to oust the Government this week, Labour has also not ruled out the possibility of repeatedly tabling no-confidence motions in a bid to topple Mrs May. Civil servants across Whitehall have been ordered to prepare for the possibility that an election could be called. The Daily Mail has learnt that officials have begun exercises looking at what needs to happen if there is a vote, such as rushing through final pieces of legislation before Parliament is dissolved. Sir Mark, who was appointed Cabinet Secretary in October, held a meeting with permanent secretaries from across Whitehall this week to talk about how they needed to be ready in the event of all scenarios. And on Wednesday Former Tory party leader William Hague told City of London figures that he believed the Brexit crisis may lead to a snap general election. 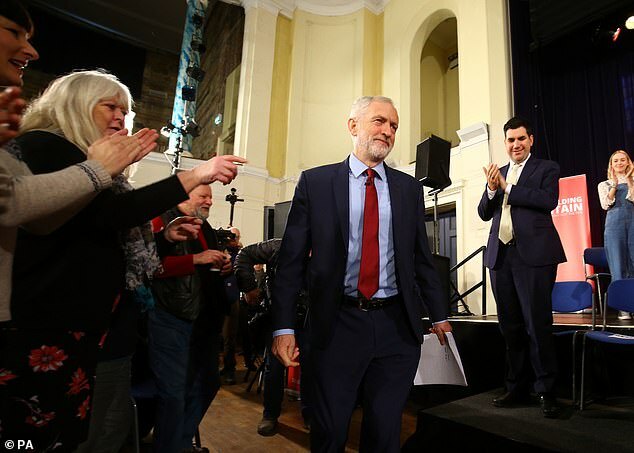 Labour has launched a fundraising drive to prepare for the possibility of a poll and in an email to supporters this week said the party was ‘on a snap election footing’. And the Tories have begun selecting candidates in dozens of seats, although sources insisted this was part of the normal process. An election could be triggered if rebel Tory MPs and the Democratic Unionist Party choose the nuclear option and – in alliance with opposition parties – collapse the Government by voting it down under the Fixed Term Parliaments Act. Alternatively, the Prime Minister could decide there is no way forward on Brexit with the current parliamentary arithmetic and ask MPs to bring about a fresh vote. If an election is called, it is likely that the two-year Article 50 process for leaving the EU would have to be extended beyond March 29.